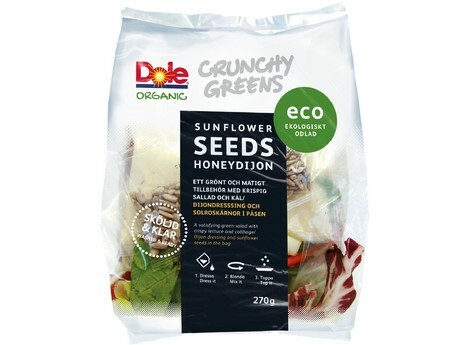 After a continual rise in consumer demand for more organic products, Dole in Sweden has expanded its offering to meet the demand. 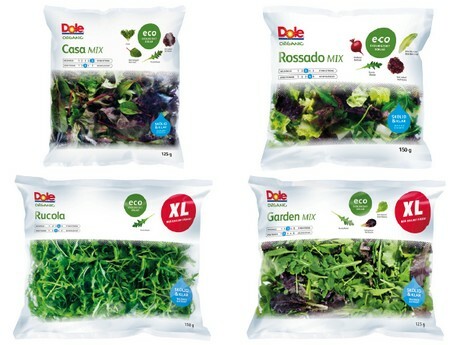 "We recently introduced several new organic products after we saw that the organic trend in Scandinavia continues to become stronger by the day. In response, we have increased our offering in Sweden, Finland and Denmark, and we have even seen a big push coming out of the Baltics recently as well." shared Fredrik Pettersson for Dole Freshcuts in Sweden. "We have been in the Baltics since 2009, and when we entered the market times were tough, but over the years as the financial situation has improved, so has their demand for new products, including organics. When we first started it was impossible to get any of our products into the market during the summer season because local production was so strong and very cheap. However nowadays, demand still goes down in the summer, but sales are steady with good volumes." The company recently launched a new twist on coleslaw called Crispy Slaw, which comes in a plastic container with everything included to make a tasty salad that is perfect for BBQ season, but also a product that can be consumed regardless of the weather. The coleslaw comes in three types; Honey Dijon (organic) which is a mix of white cabbage and carrots with honey dijon dressing; Mango Chili- with white, red, and savoy cabbage, carrots and a creamy chili dressing; and finally Mojo Rojo- red cabbage, carrots and a light smokey dressing. The dressing is packed separately enabling the customers to make the coleslaw to their own tastes, with as little or as much as they like. "We see the Crispy Slaw line as something that appeals to consumers all year round. Our peak season is from Easter up to mid-summer, regardless of whether it begins earlier or later in the year. With a good summer, we get good sales, especially the more chance that people have to BBQ." said Fredrik. "The slowest part of the year is around the corner, in October and November, when the days start to become grey and shorter, consumers start turning to root vegetables such as carrots and potatoes, along with things like cabbage. We are looking into doing more soup products, such as soup mixes, to achieve more volume during the winter months, but we aren't there yet. Things pick up again during Christmas and New Year's for our salads, especially in January when they regret all of the decisions they made the month before and decide to eat healthy and get to the gym!"